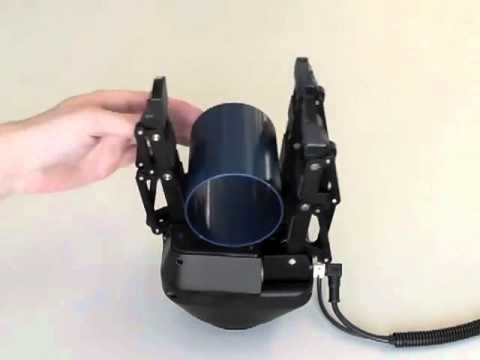 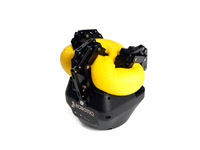 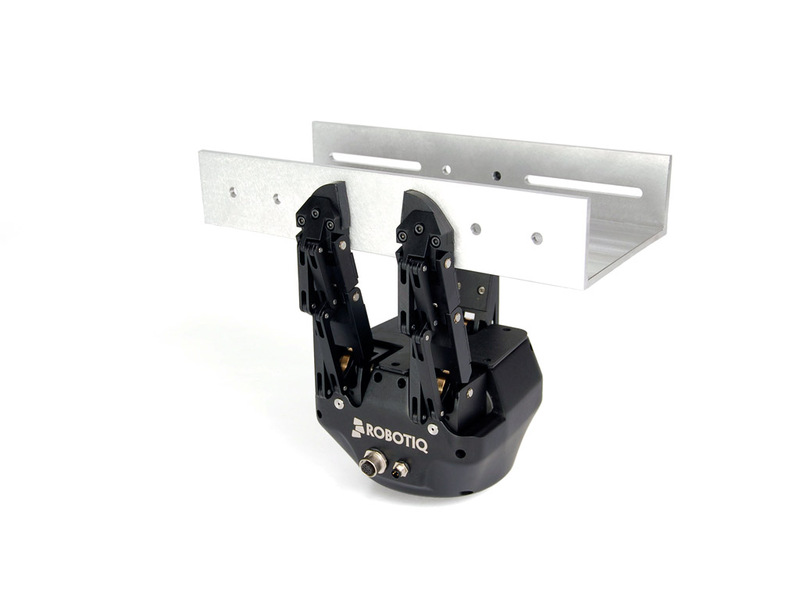 The Adaptive Gripper is a simple and robust robotic hand designed for industrial applications. 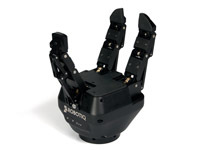 It has a three-fingered mechanism that adapts to the shape of various objects and doesn't let go. 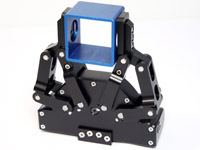 The Adaptive Gripper is made of anodized aluminum. 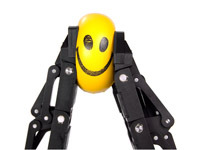 It can grasp objects by pinching them . . .
. . . or squishing them. 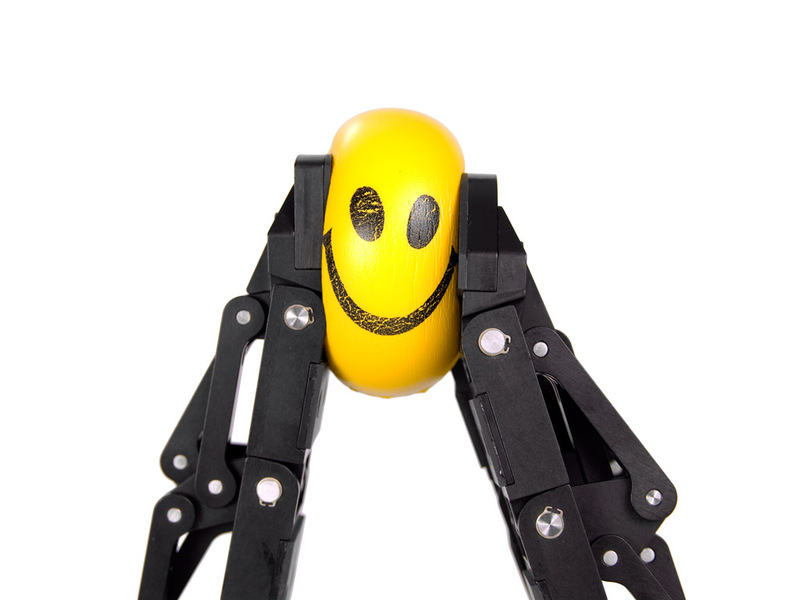 It can pick up small, big, soft, or hard objects. 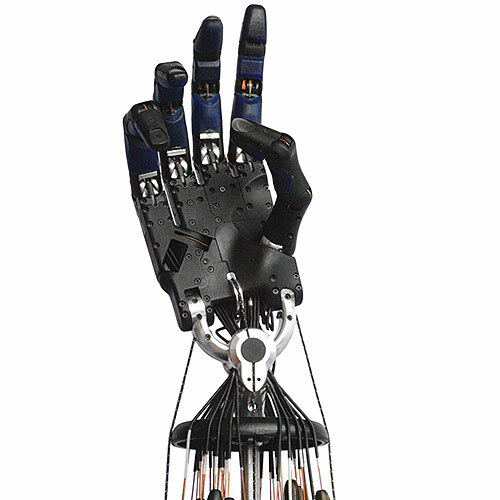 A variant model with only two fingers. 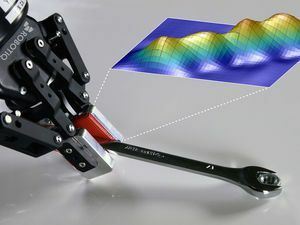 How the Adaptive Gripper works. 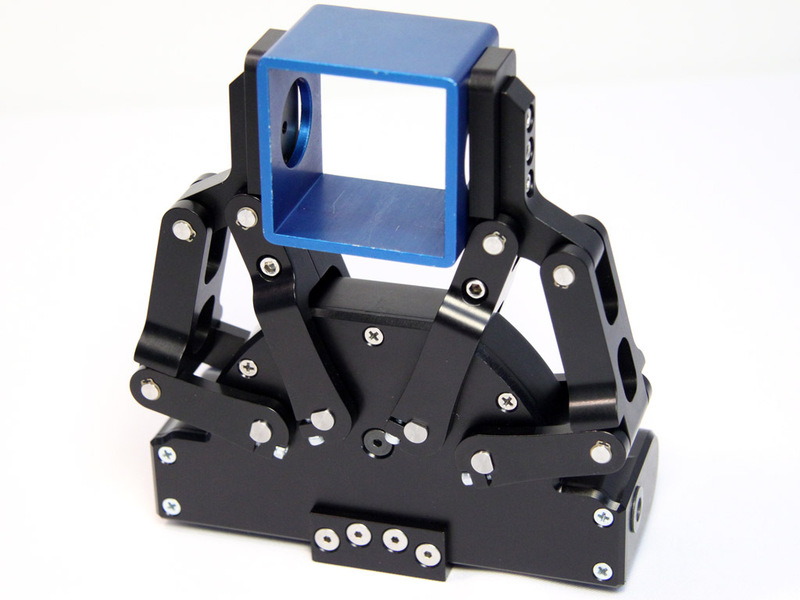 An overview of the gripper's capabilities. 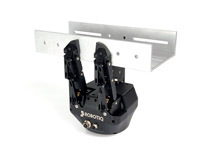 Robotiq gripper helps to assemble a product. 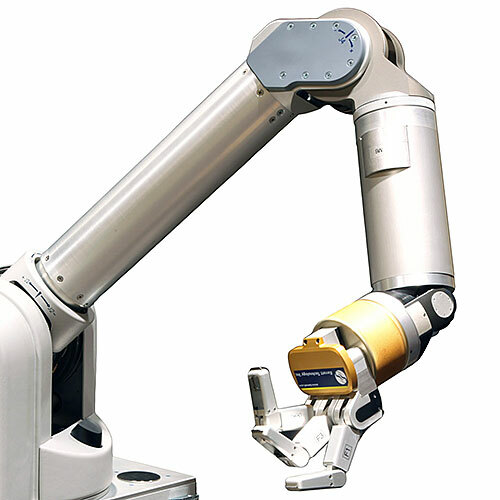 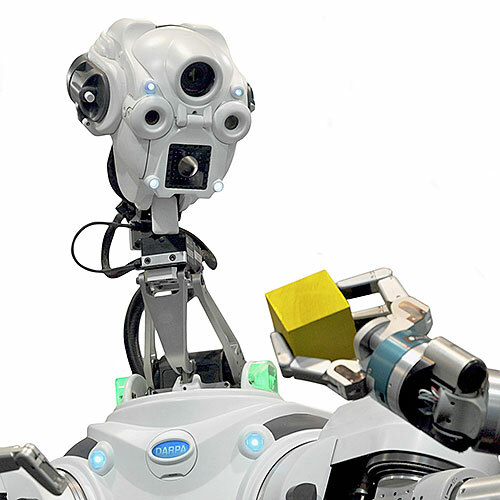 A Robotiq gripper operating nonstop has performed more than 3.5 million cycles without failure. Robotiq is a spinoff of the Laval University Robotics Laboratory, in Quebec City. 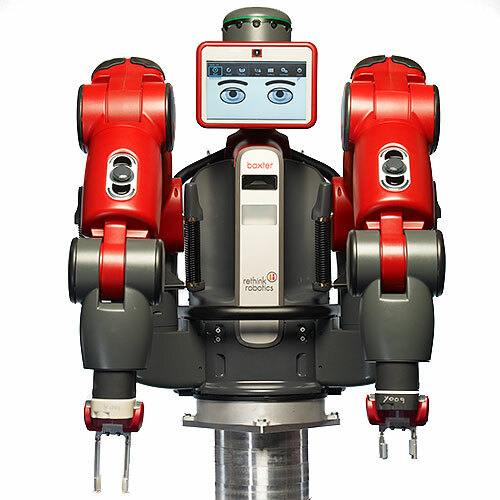 Compatible with most robot arms. 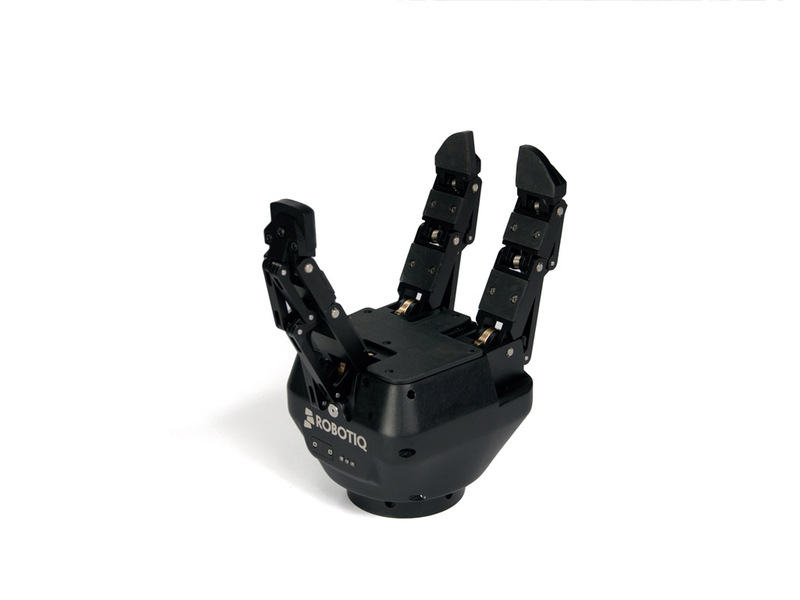 Able to control position, speed, and force of each finger. 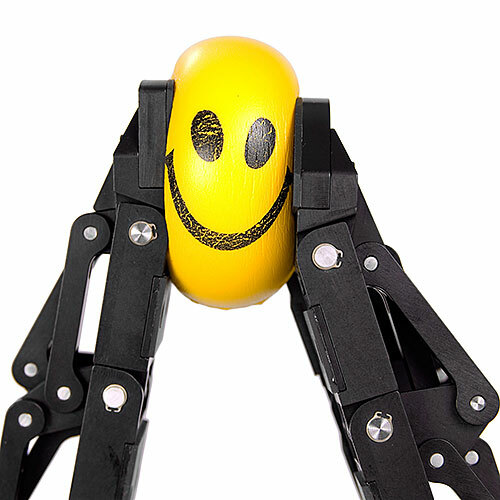 Capable of using its fingertips to pick up small objects.